Just 12 miles west on Montauk Highway. 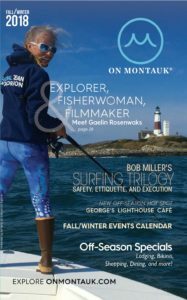 The Town Marine Museum on Bluff Road is dedicated to documenting and preserving East Hampton Town’s maritime history and the history of whaling and fishing industries. An outdoor display occupies the children. Open Memorial Day to Columbus Day, Saturdays and Sundays. Miss Amelia’s Cottage, built in 1725 and located on Main Street, has a museum with colonial furnishings. The Roy K. Lester Carriage Museum is at the rear of the property. Listen to live music at Stephen Talkhouse (631-267-3117) or go shopping in Amagansett Square. East Hampton was settled in 1648. Take a self-guided tour of East Hampton’s Village Historic District, which extends from the south end of Main Street and runs 3/4 mile north where it ends at the beginning of the commercial zone. Town Pond and the South End Cemetery, forms its southern end. Visit Home Sweet Home Museum and Mulford Farm (an intact 18th-century English colonial farmstead). The historical district contains 31 buildings erected before 1850, including two windmills. From Sag Harbor continue north on Rte 114 to the South Ferry that takes you to Shelter Island. Route 114 goes through Shelter Island to the North Ferry. This takes you to the historic town of Greenport on the North Fork of Long Island. This seafaring town offers museums, shops, galleries, and hosts many events throughout the year, including the famous Maritime Festival in September. Visit Mitchell Park with its antique carousel and working blacksmith shop. The North Fork is known for its many farms. A must stop on Route 25 Main Road, two miles east of Greenport is Lavender By The Bay, the East Coast’s largest pick-your-own lavender farm and retail shop. (There is a fee to go into the fields during blooming season). lavenderbythebay.com. Greenportonline.com has more Greenport information. Viking Fleet’s high-speed ferry takes just one hour to travel 12 miles to Block Island (vikingfleet.com, 631-668-5700). Weekend ferry service begins May 22, and daily service begins on June 12. The ferry docks at the Viking Fleet dock in Montauk Harbor and at Champlin’s Marina on Block, a full-service marina in New Harbor where you will find bicycle and car rentals, and guided tours through the taxi services. Rent a bicycle or moped, or bring a bike with you on the ferry to see beautiful farms, stone fences, and high bluffs over the Atlantic Ocean. While in Block Island be sure to visit the Inn at Old Harbor; innatoldharbor.com. The Viking Fleet has one-hour high-speed passenger-only ferry service to New London, CT, from May 22 – October 12, at 6:30 pm with a return at 8:00 pm. In July and August the ferry sails on Thursdays, Fridays, and Sundays, other months on Fridays and Sundays only. Go to vikingfleet.com for a complete schedule. The ferry docks at the Viking Fleet dock in Montauk Harbor and at the Cross Sound Ferry Dock in New London.